Georgia’s mild weather and outdoor scene make it a prime state for sports enthusiasts. There are parks and facilities seemingly everywhere where you can practice your skills. Plus, the state is home to some of the best sports teams in the country, giving you plenty of inspiration to hone your own talent. 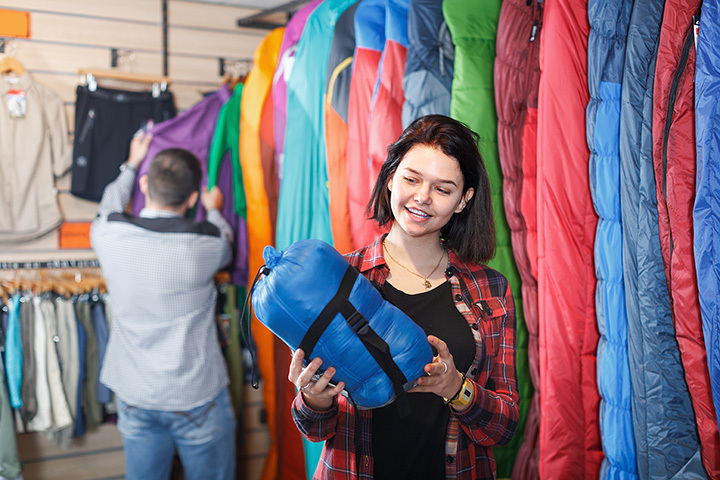 Find everything you need for your passions at these 10 best sporting goods stores in Georgia. As the biggest baseball superstore in the nation, you’ll discover everything you need to up your game. From shoes and apparel to balls, bats, and other equipment, this place has best in class brands at the best prices. You can shop their entire inventory online if you can’t make it to the store. This family-owned business is a one-stop shop for team sports and apparel. They offer custom art design, screen printing, and embroidering for every sports team. They’re also a quick stop for light sports gear and accessories like bats, balls, bags, helmets, and more. Who says sporting goods should cost a fortune? Boomerang is your headquarters for new and gently used equipment that’s budget-friendly and good quality. You can consign your old gear to make some cash, or shop their inventory for great deals at below-retail prices. When it comes to team sports, Threads has a little bit of everything. They’re the local’s choice for team apparel and gear, offering custom embroidery and screen printing services on-site. You’ll find top brands in the retail store, including Yeti, Big Green Egg, Rawlings, Easton, Oakley, and more. Save yourself a trip to the big box store and find just about everything you need for team sports here. Specializing in uniforms and basketball, baseball, and softball gear and equipment, you can find the same brands you’d find in chain stores but with personalized service and local market pricing. You can practice your swing at their on-site batting cage and training area at the Macon location. Featuring the best in sports apparel, trophies, and equipment, this place is a one-stop shop for all team needs. You can get custom embroidering and screen-printing, awards, trophies, balls, bags, drinkware, socks, gloves, and just about everything else you need for a day on the field. They do all their engraving in house to give you the quickest turnaround time and lowest price possible. This place has a history of excellence serving local sports teams for over 50 years and counting. From team uniforms and equipment to cleats, balls, gloves, and more, they’ve got the big chain stores beat hands down when it comes to selection and service. They’re the best place around to restring your glove and make it look like new. If you’re not sure what you need but want to buy the right gear the first time, you’ll want to come here first. The staff are fellow sports enthusiasts and they know how to help you get the right gear for your needs the first time. Plus, if they don’t have what you need, they’re usually able to order it for you quickly. Part sporting goods store, part trophy shop, Thompson’s is the Georgia coast’s leading choice for team sports. They provide custom uniforms for cheerleading, football, soccer, basketball, and baseball, in addition to letterman jackets to highlight your best achievements. You won’t find a better selection or better service anywhere else in the area. As one of the oldest sporting good stores in the Atlanta metro, you can expect nothing but the best in service and equipment. They still deliver old-fashioned quality service just like in the good old days, offering insight and expertise to help you get what you need quickly and affordably. In fact, they’ve got the best prices around, and you’ll appreciate the difference.